Her Hometown Hero, Love Inspired romance, will be out at the end of August. In a split second, a tragic accident ends Kathleen Somers's ballet career. Her dreams shattered, she returns home to the Soaring S ranch…and her first love. Suddenly the local veterinarian, Dr. Nate Sterling, goes from her ex to her champion. 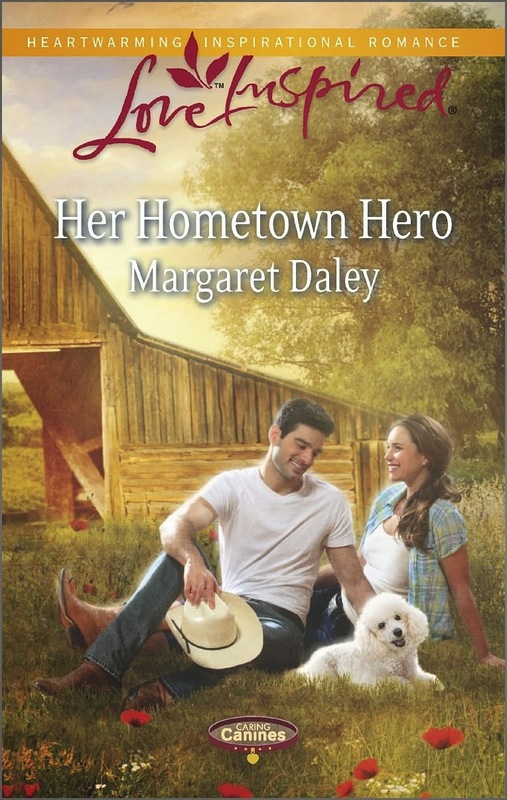 With the help of a lively poodle therapy dog, the cowboy vet sets out to challenge Kathleen's strength and heal her heart. He'll show her there's life beyond dance, even if it means she leaves town again. But maybe, just maybe, he'll convince her there's only one thing in life worth having…and he's standing right in front of her. I usually just ignore it and delete. It's not worth raising my blood pressure over it. Margaret, I feel you pain. I have multiple email addresses. I have one that I use when I shop online. That is the one that gets the most spam. Occasionally, spam gets through on my other accounts, but rarely. The problem with having so many email accounts is having someone send something important to the email address that I don't check all the time. The spam that irritates me the most is the spam that gets past the spam detector on my website. I normally don't get too upset, but when you are flooded with it and it requires a lot of time to take care, then I get mad. Why do people do it? It just irritates people. It doesn't make me buy the product. Margaret, I am on the Do Not Call List and it doesn't seem to faze a lot of people as I still get those solicitation calls. I especially hate the calls for donations. Ever since I started blocking all of my spam emails, my spam has been really dwindling. It took a long time, but it is finally paying off.